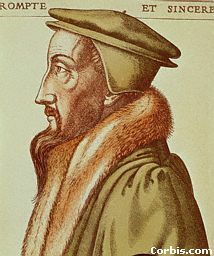 The HUGUENOTS, were French Protestants, followers of John Calvin. In 1559, the protestants founded a Presbyterian church in France, which soon became one of the nation's most industrious and economically advanced elements. They emerged victorious over Roman Catholic forces in the Wars of Religion (1562-98) - also called the Huguenot Wars. These wars were marked by cruelty on both sides. The first three wars (1562-63, 1567-68, 1568-70) ended favorably for the Protestants. The massacre of Saint Bartolomew's Day (the presence of many Huguenots in Paris for the wedding of Henry of Navarre (later Henry IV) gave Catherine de Medici and the reluctant King Charles IX a chance to plan a general massacre) began the fourth war(1572-73). The successive Protestant leaders were Louis I de Condé, Gaspard de Coligny and Henry de Navarre (later Kind Henry IV). Henry IV - raised as a Protestant - became heir to the throne in 1584 and became king after Henry III was assassinated in 1589. He waged a successful war (1595-98) against Spain, and by the Edict of Nantes - signed on April 13th, 1598 - he established political rights and a measure of religious freedom for the Huguenots. The rest of his reign was spent restoring order, industry and trade. 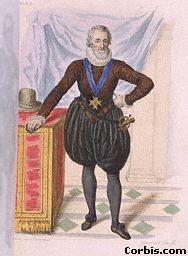 He was assassinated by a fanatic, François Ravaillac in 1610. After the Edict was signed, the Huguenots were allowed to practice their faith in 20 specified French cities. A decade of peace and union followed. 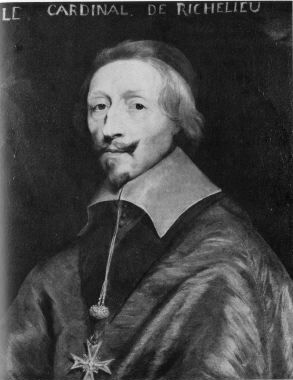 However, after Henry IV's murder, Cardinal Richelieu took over Religious issues, and persecutions against the "rebels" resumed. One after the other, the free cities were lost, conquered by the forces of Cardinal Richelieu. The last and most important siege happened at La Rochelle in 1629, which, after a month under siege, fell to the forces of the Cardinal. In 1629 The Peace of Alais ended Protestant political privileges and persecution began after 1665 under Louis XIV (the Sun King, 1643-1715). Louis - protected by his policy "One Faith, One Law, One King - revoked the edict in October 1685. Protestant churches and houses were burned and destroyed, and their bibles and hymn books burned. Many Huguenots were burned at the stake. Perhaps as many as 400,000 French Protestants emigrated to various parts of the world, including Netherlands, Germany, America and South Africa, where they could enjoy religious freedom. The organized large scale emigration of Hugenots to the Cape of Good Hope in South Africa occurred during 1688 - 1689. However, even before this large scale emigration individual Huguenots such as François Villion (1671) and the brothers François and Guillaume du Toit (1686) fled to the Cape of Good Hope. In 1692 a total of 201 French Huguenots had settled at the Cape of Good Hope. Most of them settled in an area now known as Franschhoek ("French Corner"), some 70 km outside Cape Town, where many farms still bear their original French names. A century later the promulgation of the Edict of Toleration on 28 November 1787 partially restored the civil and religious rights of the Huguenots in France.